Kelly selected a Dimplex Grand Noir Opti-MystTM fire. The Grand Noir, is a beautiful electric stove, combining the classic feeling of a wood burning stove with modern electric functionality. With real doors and incredibly realistic visuals, it’s a brilliant blend of statement piece and classic cool, in a gloss black finish. Alternatively, this model is also available in cream and red, so sits comfortably alongside a range of home décor choices. Perfect for warming up a conservatory, all Dimplex Opti-myst fires are 100% efficient at point of use, which means no heat is wasted. The Grand Noir also features a room-sensing thermostat to measure and maintain a selected comfortable room temperature. 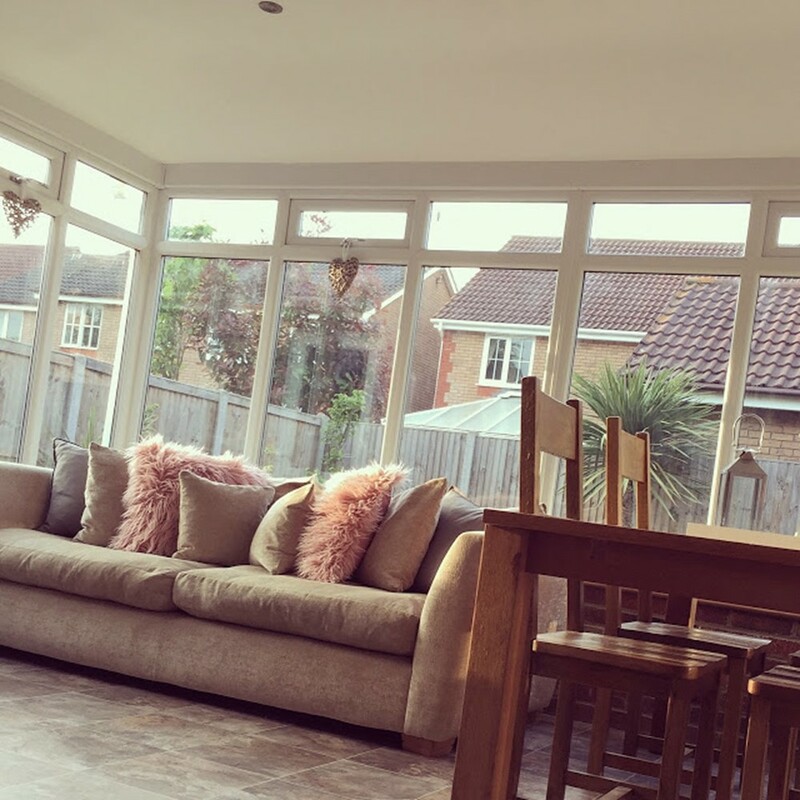 “With 2kw of heat, simply and easily controlled by remote, it has really begun to make a difference to the winter evenings in the conservatory,” says Kelly. 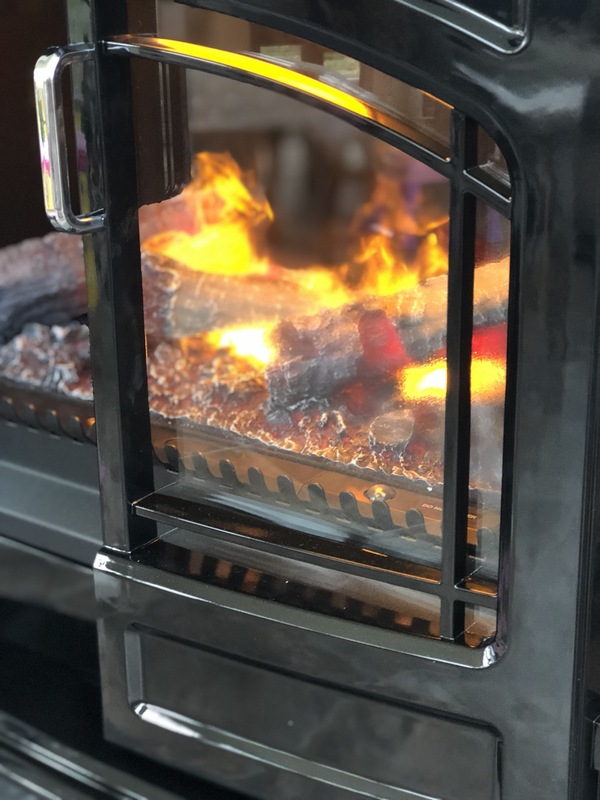 With the unique, patented Opti-myst technology, the Grand Noir brings to the conservatory the world’s most realistic electric flame and smoke effect. It is a truly astonishing illusion, ingeniously using light reflected from an ultra-fine water mist to create the convincing flames and smoke. 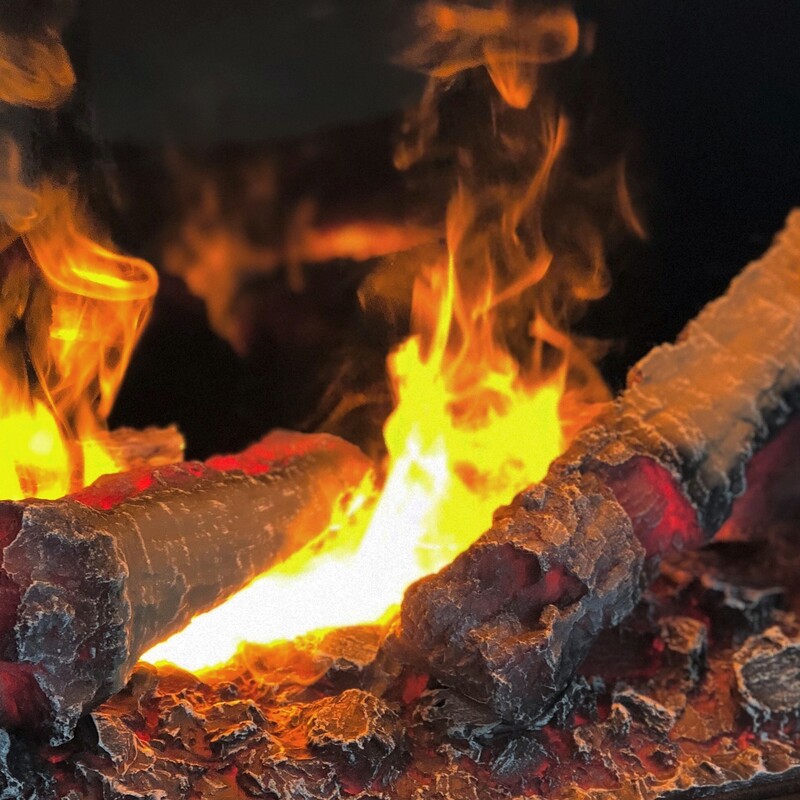 “Not only providing the most realistic flame and log burner effect, this ‘fire’ is also cool to touch; perfect in a home with a five-year-old daughter,” says Kelly. You can also turn off the heat and use just the flame effect independently throughout the year to provide a fantastic evening ambience, all for the running cost of a small light or two. “I think it’s fair to say, I am completely in love with the Opti-myst technology,” admits Kelly.